Unlike refined grains, like those found in enriched white flour, whole grains contain the germ, endosperm and bran of a grain. When whole grains are refined, the germ and bran are stripped away, effectively removing 25 percent of the grain's protein and 17 key nutrients. 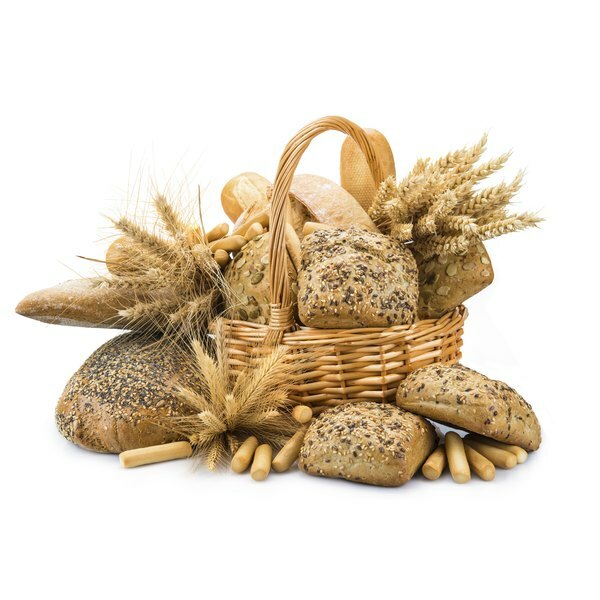 Whole grains contribute to disease prevention, weight management, gastrointestinal health and nutrition. Whole grains have been shown to reduce the risk of cardiovascular disease, Type 2 diabetes, coronary heart disease and cancer, according to the Journal of Nutrition. Researchers at the Iowa Women's Health Study observed that fewer women died from ischemic heart disease when whole grains were included in their diets. The Nurses' Health Study found that women with the higher intake of whole grains had fewer incidences of coronary heart disease. Similar relationships have been found between whole grain consumption and coronary artery disease, high blood pressure, Type 2 diabetes and high cholesterol. Replacing refined grains with whole grains may lower the risk for these conditions and diseases. According to the "Journal of Nutrition," studies have indicated that adults who consume more whole grain have a reduced risk for obesity and weight gain. The Framingham Heart Study found that people who consumed three or more servings of whole grains per day had 10.7 percent less fat tissue than people who ate no whole grain. The FUNGENUT Study even found that fat cells were 21 percent smaller after participants consumed a whole grain rye pasta diet for 12 weeks. The "Journal of Nutrition" postulates that whole grains have this effect on weight because the fiber in whole grain foods increases bulk without adding to caloric intake or negatively affecting blood sugar levels. The Journal of Nutrition claims that more than one observational study shows that whole grain consumption is correlated with a decreased incidence of gastrointestinal cancer. One Swedish study found that the participants in the study with the highest intake of whole grain had a 24 percent lower risk of colorectal cancer compared with the participants with the lowest intake of whole grain. In addition to the healthy fiber present in whole grains, there are also a myriad of other nutrients that aid gastrointestinal health, such as antioxidants, vitamins, minerals and phytochemicals. These nutrients work together to help the gastrointestinal system maintain regularity, lower colonic pH, remove carcinogens, increase beneficial microorganisms, reduce pathogen presence and decrease toxin production. Whole grains provide a variety of nutrients to help diversify a nutrient rich diet. The outer layer of whole grain is called the bran. This layer has fiber, B vitamins, antioxidants, phytochemicals, iron, copper, zinc and magnesium. The middle layer of whole grain, called the endosperm, has carbohydrates, protein, B vitamins and minerals. The innermost layer of whole grain is the germ, which contains healthy fats, B vitamins, phytochemicals and vitamin E. The phytochemicals in whole grains help protect the human body against diseases such as cancer. Consuming whole grains instead of overly processed grains can help increase the nutrient-to-calorie ratio in a diet because whole grains are more nutrient rich than processed, partial grains.